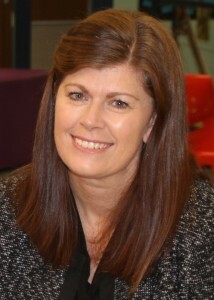 Stacey Quince has over 20 years’ experience in education and is currently the Principal at Campbelltown Performing Arts High School. She is passionate about engaging students through “learning that matters” – both through quality teacher professional learning and by empowering students as active participants in the learning process. Stacey has led a number of state and national initiatives and currently coordinates the NSW DoE Schools of the Future program. In 2016, Stacey researched future-focused learning and professional learning in the US and UK as the recipient of the NSW Department of Education Mary Armstrong Leadership Fellowship. Stacey is the recipient of ACEL’s NSW Educational Leadership Award and AITSL’s Australian Award for Excellence in Teacher Leadership. Whilst there is much discussion about the need to adopt “future-focused” learning, there is often still uncertainty about what this looks like and how to make it happen in schools. Drawing on both global research and sustained local practice, this keynote explores the key elements that have supported successful widespread innovation at Campbelltown Performing Arts High School. Starting with a consideration about the purpose of schooling, the transformation of practice at CPAHS has been underpinned by a shared vision, strong culture, embedded professional learning and community engagement. Campbelltown Performing Arts High School has successfully used disciplined innovation to significantly transform practice in pedagogy, curriculum and assessment over the last few years. This workshop will build on the key messages of Stacey Quince’s keynote to explain how the school has successfully developed a model of integrated curriculum, widespread use of new and emerging pedagogies and assessment of future-focused skills. The importance of collaborative practice and evaluative thinking – fundamental to the success of transformation – will also be explored.